Look out for a banning system, new items, and adjusted runes for ARAM in Patch 9.7. Riot will test out a whole slew of changes to the ARAM game mode in Patch 9.7, the developer announced today. After the patch, Riot will decide which changes will be made permanent. Bilgewater: Burning Tides and Curse of the Drowned events. Riot will also implement a banning system for ARAM. Players will first choose the champions they wish to ban, and will choose their own champions afterward. Banned champions are locked, and won’t even show up in re-rolls either. Riot also wants to cut down on ARAM game times, so the developers “discussed having the two Nexuses get up and fight each other” like in Nexus Blitz. Their current solution is much more subtle, however. Now, the minions’ spawn rate will increase at a linear rate starting at 15 minutes, and capping at the 25-minute mark where they’ll spawn every 15 seconds. Minions will start to gain movement speed at the 15-minute mark as well, until the 20-minute mark where they’ll have a speedy 425 movement speed. Players will also be getting a buff to their structural damage. Before 15 minutes, champions deal 10 percent more damage to structures. At the 15 minute mark, a champions damage to turrets will increase linearly until 25 minutes, when they’ll deal 30 percent bonus damage to structures. These changes are made to ensure that players can reach the endgame that much quicker. 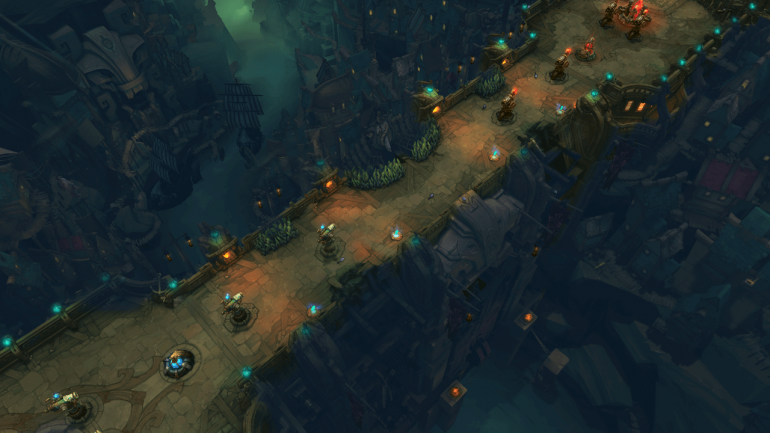 There are a ton of other changes that Riot is making to ARAM, like a brand-new Summoner Spell called Backtrack. It’s also lowering damage from champions farther than 900 units away by 15 percent as a way to give players built-in poke reduction. Riot is also adjusting some items, some runes, and balancing a whole plethora of champions for the mode as well. We will see if any of these changes will make it into the final form of the game in Patch 9.8.